Train your palate to recognize excellence. 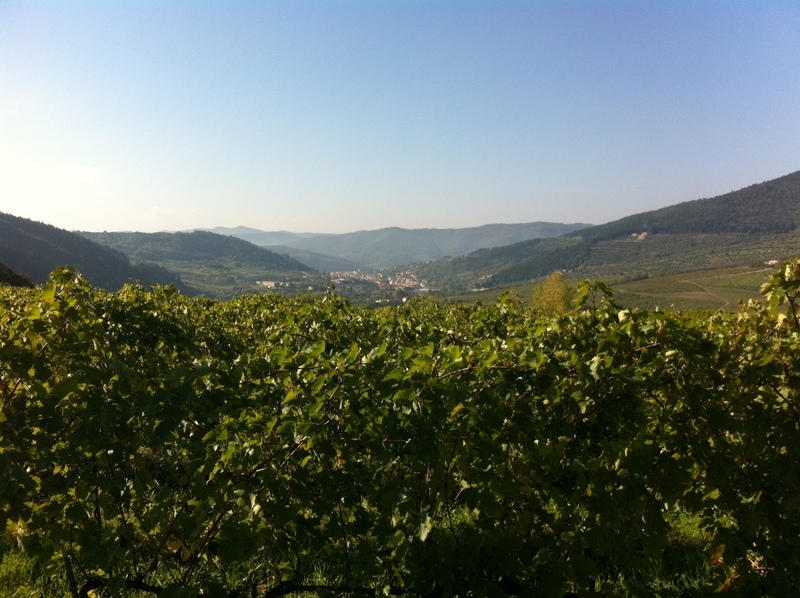 If you have not tasted the wine of this region, you cannot say that you have been to Tuscany. That is why we have decided to organize a captivating wine tour for our guests so that they can discover the art of wine making in this area. 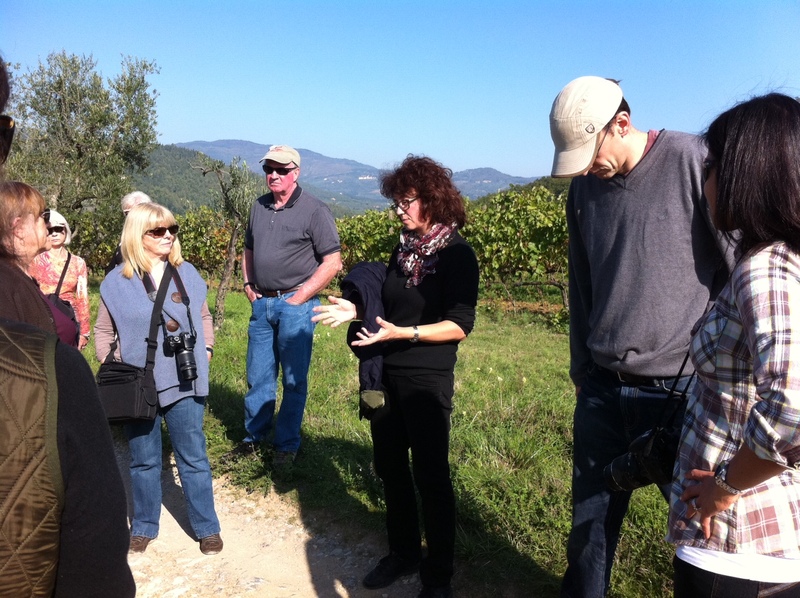 The tour will visit Chianti Rufina wine makers. Are you ready for a day that will spark your enthusiasm? Keep your 5 senses alert to explore the production and refining of great, soul inspiring wines that are esteemed the world over. You will taste the fruit of the experience and passion of those who have dedicated their lives to this art for generations. 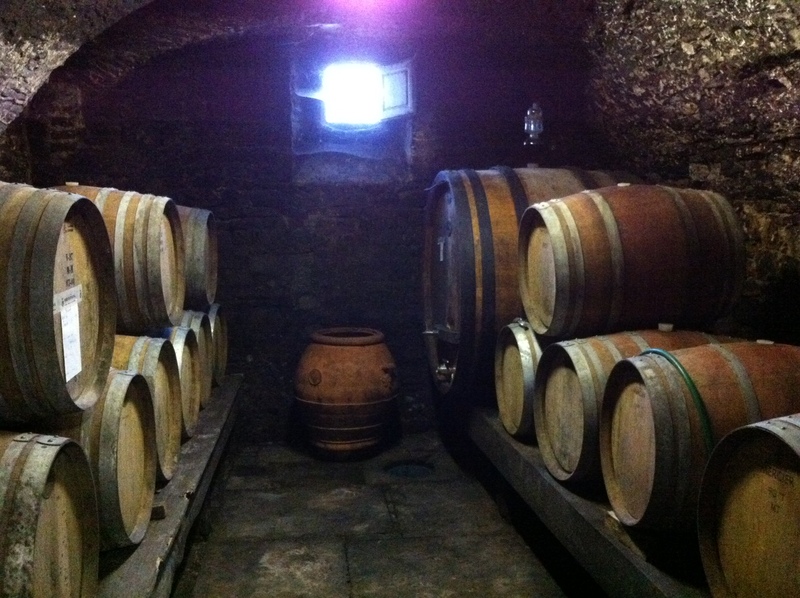 Just as wine can differ from one year to the next, even the wine makers that you will visit will change with each tour. This is because there are many fine wine makers in this area and we cannot visit them all. Our wine talent scout also enjoys suggesting new emerging talent in wine making. Furthermore, our tours are never prepackaged; they can respond to your specific needs. 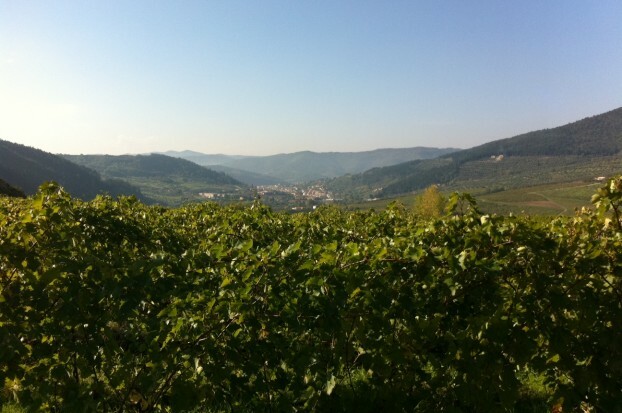 Mugello, land of wine made with artistry. 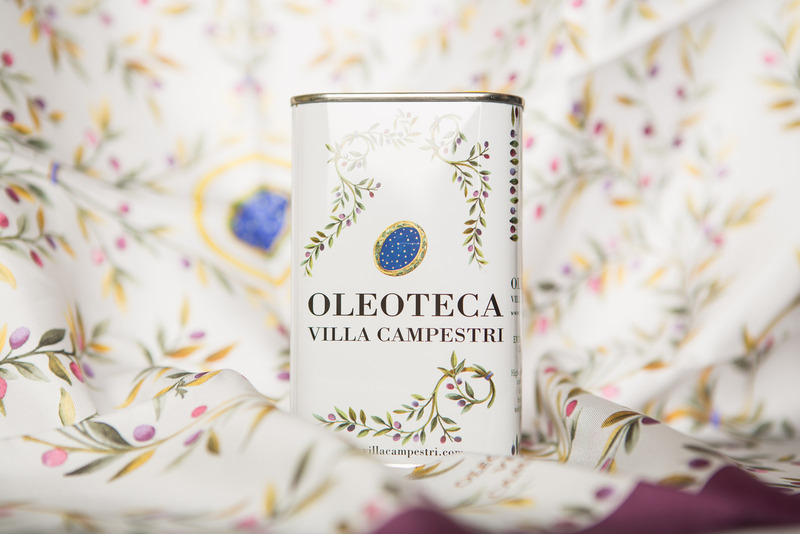 Villa Campestri Olive Oil Resort is in Mugello, a place that is not only famous because Giotto and Beato Angelico were born here, but also for its production of quality wine such as Chianti Rufina. Just a few kilometers from the Villa, in fact, there is valley where one of the most important wines of Tuscany is produced: Chianti Rufina. Chianti Rufina is a DOCG wine (acronym for Denominazione di Origine Controllata e Garantita – “Controlled Designation of Origin” a quality assurance label for wine in Italy) that can be produced only in the province of Florence, in the district of Rufina and its surrounding areas. Rufina is a small area of the Chianti which includes districts on the hills east of Florence: Dicomano, Londa, Rufina, Pelago, and Pontassieve. In 1716 Cosimo III de’ Medici counted this area in his “Bando del vino” (wine announcement) as one of the most important wine making areas, along with Greve in Chianti and Carmignano, of the Grand Duchy of Tuscany. The Chianti Rufina wine road. 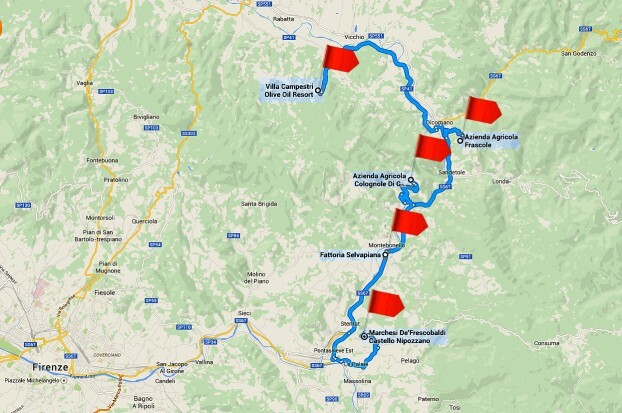 The Chianti Rufina wine road is about 10 kilometers from Villa Campestri. The wine produced in this area has typical organoleptic qualities. Chianti Rufina wines are obtained from grape varieties that have been declared and selected according to commercial requirements. These grape varieties are: Sangiovese, Canaiolo nero, Trebbiano Toscano, and Malvasia del Chianti. Other types of recommended and authorized red grapes may be utilized as long as they do not exceed 10% of the wine. Some of these are the so-called autochthonous varieties; others are international, such as Cabernet-Sauvignon and Merlot grapes. 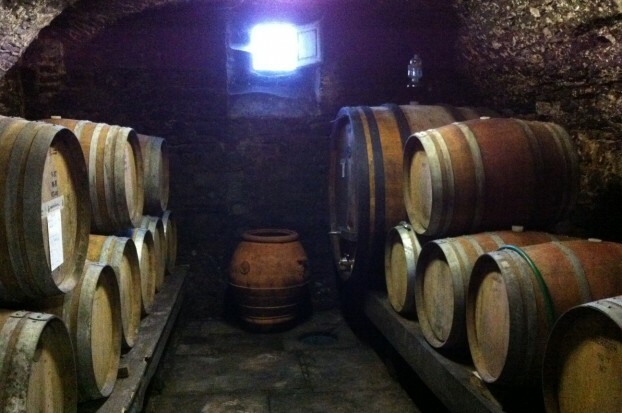 If a Chianti Rufina wine is aged for at least two years, with six months in the cask and three in the bottle, it receives the title of “Riserva”, Reserve. Here is a small taste of our wine tour. Starting from Villa Campestri, we will visit four of the best wine makers of the area. The Frascole Farm consists of a small group of houses that go back to the medieval era. Its surrounding land overlooks the town of Dicomano (just minutes away by car from Villa Campestri). 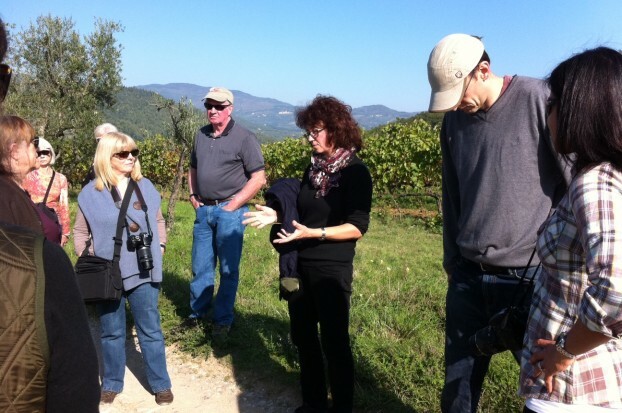 Wine tasting and visits to the wine cellar can be organized with Enrico, the owner of the farm. The wine production of the farm is organically cultivated, and it has had a certification for organic agriculture since 1999. The wine selection consists in: Bitornino (a light, young Chianti wine), Frascole DOCG (a red Chianti Rufina), Frascole Riserva (a red Chianti Rufina Reserve), Limine IGT (a red 100% Merlot), a 100% Sauvignon Blanc, and In Albis (a 100% Trebbiano wine). There is also a Vinsanto that has won the prestigious prize of “The Best Vinsanto of Italy” many times. The second stop of the tour brings us to the historic Colognole Farm that has belonged to the Spalletti Trivelli family since 1892. Their most famous wine is created exclusively from a cru of Sangiovese grapes and is called La Riserva del Don. Like most quality Chianti wines, hints of violet fragrance can be noted in its flavor. The name of the wine originates from an ancient custom of tenant farmers to set aside the best part of the harvest to the owner of the land, the “Don”. The next stop takes us to the Selvapiana Farm. The wine production of this historic place of interest goes back the period of the First World War. The wine selection that you will taste consists of the following wines: Chianti Rufina Vendemmia, Chianti Rufina Riserva, Pomino Rosso, and Vin Santo DOC of Chianti Rufina. Either Silvia or Federico Giuntini Masseti will take you to the vineyards to explain their agronomic methods for wine making; afterwards a visit to the wine cellar will provide a view of their production. Their crown jewel is Bucerchiale Chianti Rufina Riserva, a wine that is made from a cru of the finest Sangiovese grapes. The fourth and final stop takes us to the oldest and most famous wine cellars of this area in the Castello di Nipozzano on the Frescobaldi estate. Here Villa Campestri guests will experience a special wine tasting itinerary of Chianti Rufina wine. 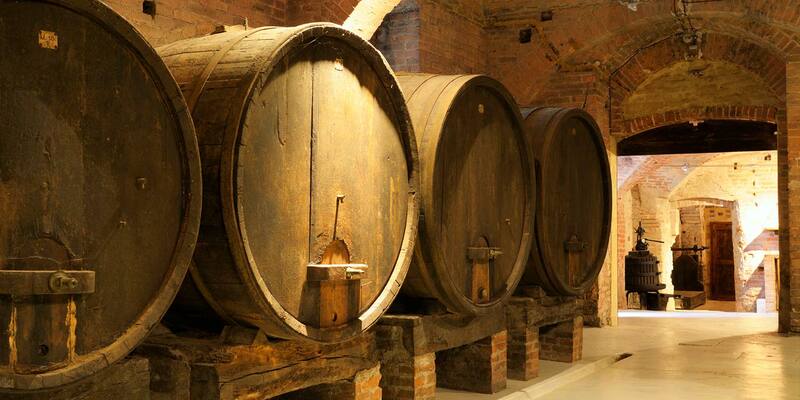 The first mention of wine making in relation to the Frescobaldi family dates back to 1308. A curio of the estate is an interesting document that registers an exchange of wine for art between the manager of the farm and the Florentine maestro Michelangelo Buonarroti. After a guided tour of the wine cellars of the Castello, a light lunch will consist of cheeses, cold cuts, and extra virgin Olive Oil of the farm alongside a wine tasting of a white wine and two red wines. Our wine tour is a unique experience that lasts a whole day and proposes several stops according to the season and your needs. It is very important that bookings for this experience should be made in advance (at least 2 weeks) in order to facilitate the organization of transportation and lunch. For more information please contact the staff of Villa Campestri Olive Oil Resort at +39 055 8490107 or send us an e-mail.